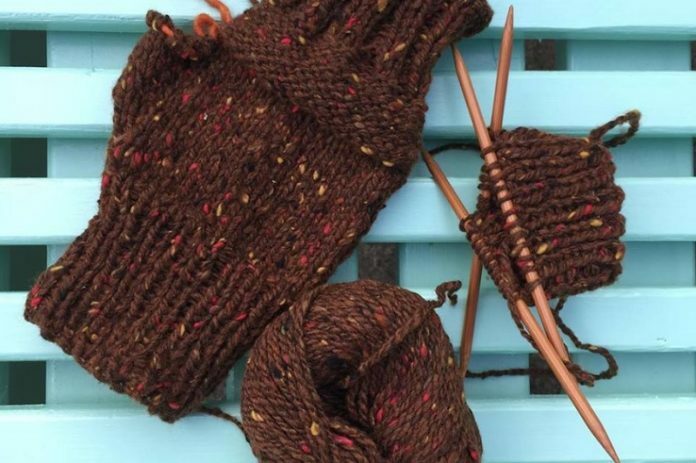 LSS Luscious Knits, by Chicago artisan Lee S. Stein, is the place to go for beautiful, nature-inspired, ice-dyed accessories, apparel and home goods. Full of vibrant colors, LSS Luscious Knits takes you through a journey of rich, luxurious fibers, resulting in unique accessories and home décor. The products are high-quality, one-of-a-kind, beautiful, environmentally friendly and affordable to everyone. We are excited to welcome Lee and LSS Luscious Knits to the Chicago Artisan Market on Sunday, December 2, 2018 (Holiday Market) at Morgan MFG, where they will be joined 110+ top artisans in food, fashion, home goods + art. • Knits – hats, mittens, fingerless gloves and neckwarmers, using only luxury, natural fibers. 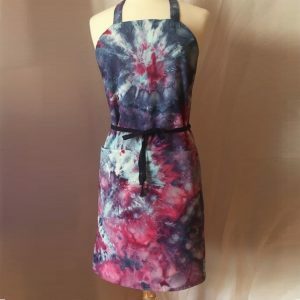 • Ice-dyed work – accessories and home decor such as headbands, scarves, table linens, aprons, coaster sets, bandanas and more. Ice dyeing is similar to tie-dye, but the result is a more muted, watercolor-esque outcome. The material to be dyed is scrunched up and laid on a rack with ice piled high on top of it. Powdered coloring is sprinkled over the ice, and as the ice melts, the colors mix and blend onto the material, providing a softer result than the traditional tie-dye of eras past. The ice-dye process takes 24 hours. The owner/creator lives in the city with her husband, two kids and assorted pets. Lee started LSS Luscious Knits primarily as a knitted accessory shop, but expanded to include ice-dyed garments, accessories and home decor. Lee specializes in commissions and is inspired to create an item that matches your vision.